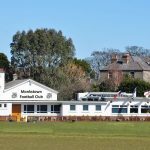 If you’re looking to play rugby, Monkstown is the place to come. We have 4 senior men’s teams to cater for all skill and fitness levels, and of course there’s a packed calendar of events, club nights, tag tournaments, and club bar for you to enjoy. If your playing days are behind you, but your rugby passion is as strong as ever then a Pavilion Membership is the ideal solution. Enjoy live rugby and the use of our bar and clubhouse facilities throughout the rugby season by becoming a part of one of the oldest and prestigious clubs in the country. We also have a thriving Mini Rugby and Under-17 section to our club, and are looking for new players at all times. Fully paid members are eligible to request International Tickets each season, the availability of tickets is dependent on the level of supply from the IRFU. The club weights room is available free of charge to all members, and the use of the clubhouse and grounds is available at significantly discounted rates. We’re always delighted to welcome new members to our club, so contact us now by filling in the below form and indicate the membership type in the Requirements field.